Abarth is turning back the racing clock 50 years for its display at this year’s London Classic Car Show. The performance car brand’s exhibition stand will feature new and old – with plans to show the recently-launched Abarth biposto Record alongside the classic Monoposto Record Class G racing car from 1965. The Abarth biposto Record celebrates the 50th anniversary of Karl Abarth’s legacy of 133 international records, and as such, production will be strictly limited to just 133 examples. 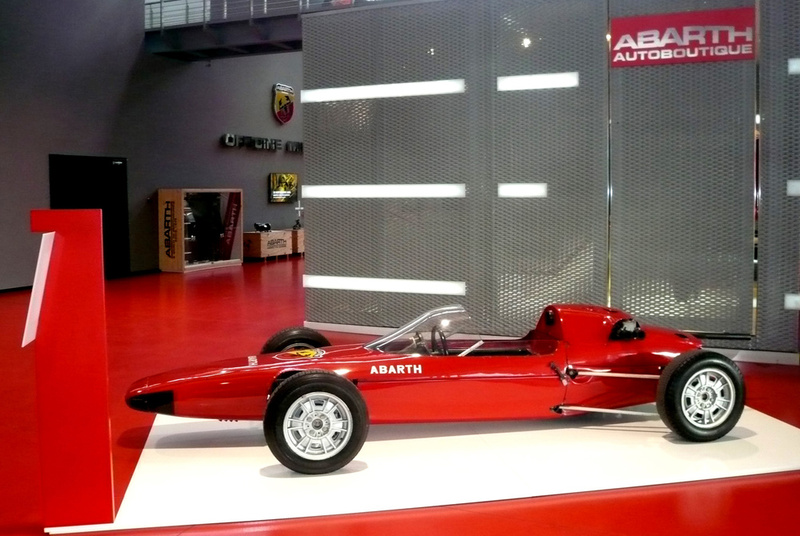 Abarth founder Karl Abarth drove an Abarth Monoposto Record, Class G at Monza, winning the acceleration record on 400 metres and 500 metres. Unable to find the right driver, he decided to lose 30 kilograms in weight to slip into the tight cockpit himself. The London Classic Car Show – to be held at London’s ExCel exhibition hall from 18-21 February – will also mark the UK launch of the Officine Abarth Classiche, the official Turin-based workshop where classic Abarth cars are repaired, restored and certified for customers. Last year was Abarth’s best ever in the UK, with total sales of 2743 – a rise of 67 per cent against 2014 (1642) – and a top five finish in terms of fastest-growing car brands in the UK. Abarth prices start at £14,610 OTR for the 1.4 TJet 140hp Manual rising to £33,055 OTR for the 1.4 TJet biposto 190hp Manual.